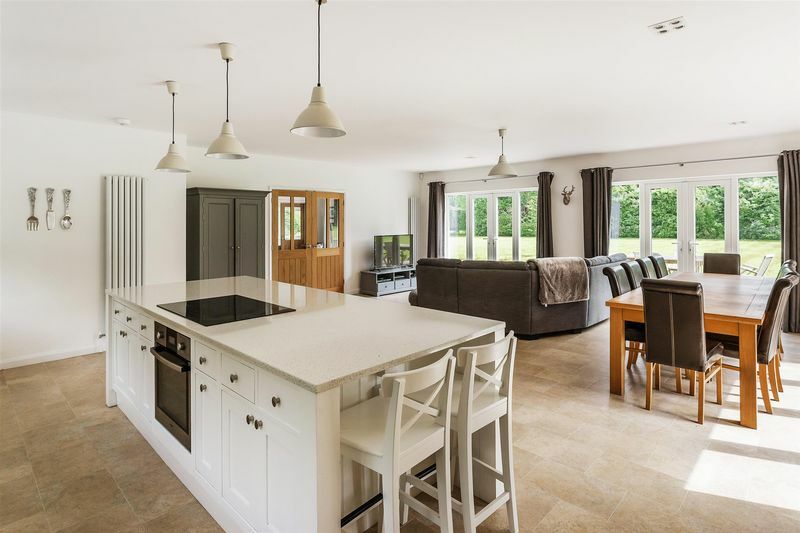 A superbly presented, fully refurbished family home with 4600sqft of accommodation and set within around 1.5 acres of gardens. 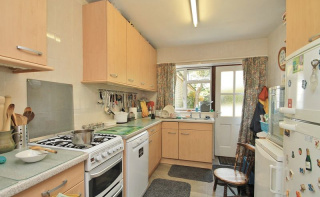 The property is situated down its own private driveway off a rural lane. 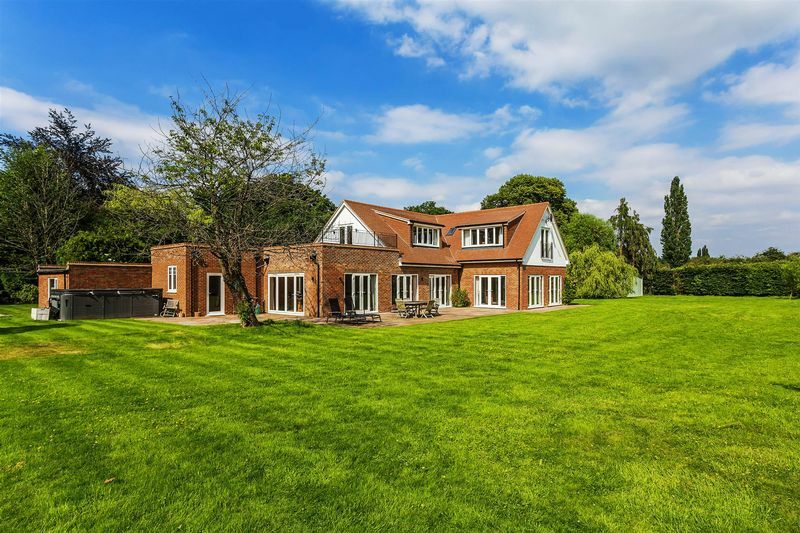 Green lane is a semi-rural road with only a handful of properties situated in the popular village of West Clandon. 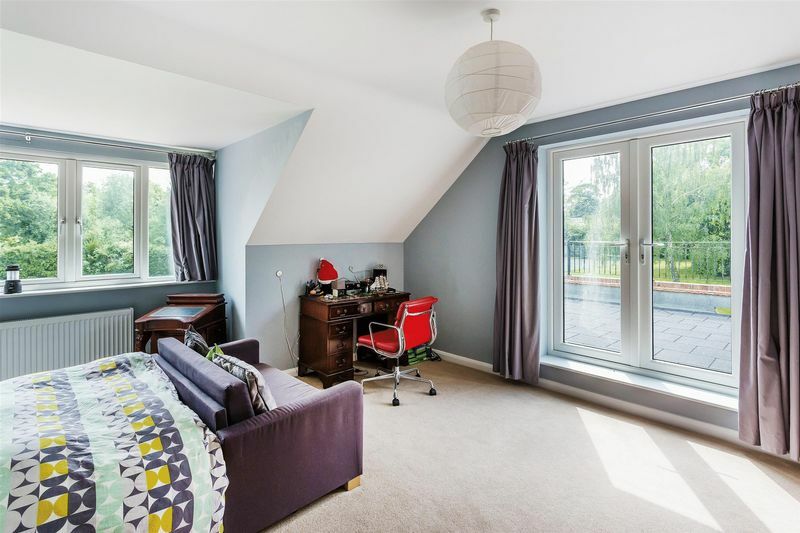 The location benefits from being within walking distance of Clandon station and an easy drive to the A3 as well as local towns. 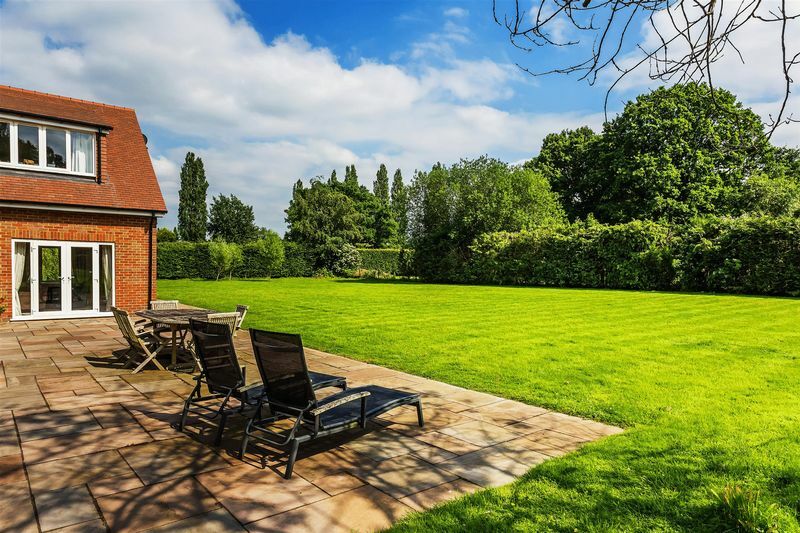 The lane runs parallel to open farmland providing stunning views and a rural feel. 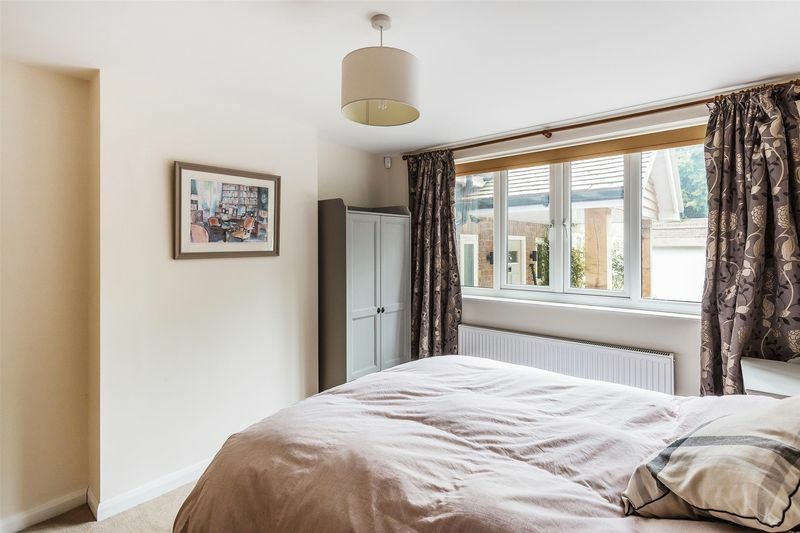 This beautifully presented six double bedroom family home has been completely refurbished throughout and offers flexible accommodation to suit many needs. 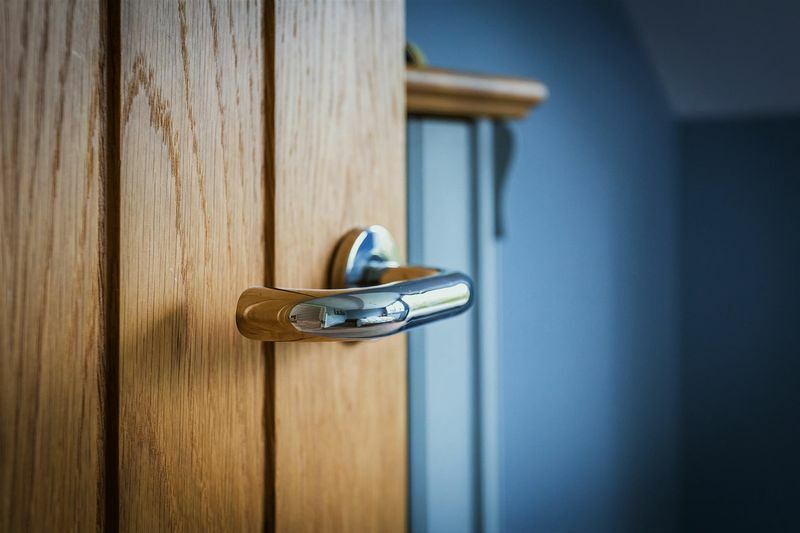 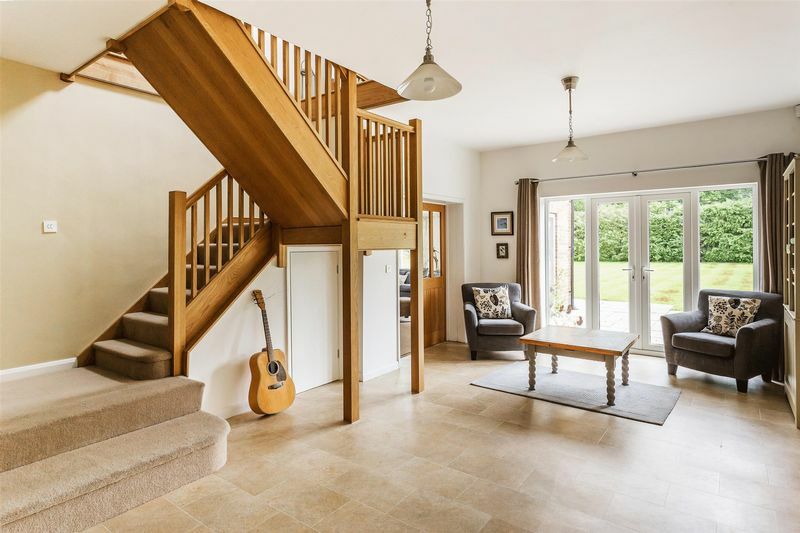 The versatile ground floor accommodation is approached via an attractive covered entrance porch, leading to a substantial entrance hall which is almost a reception room itself. 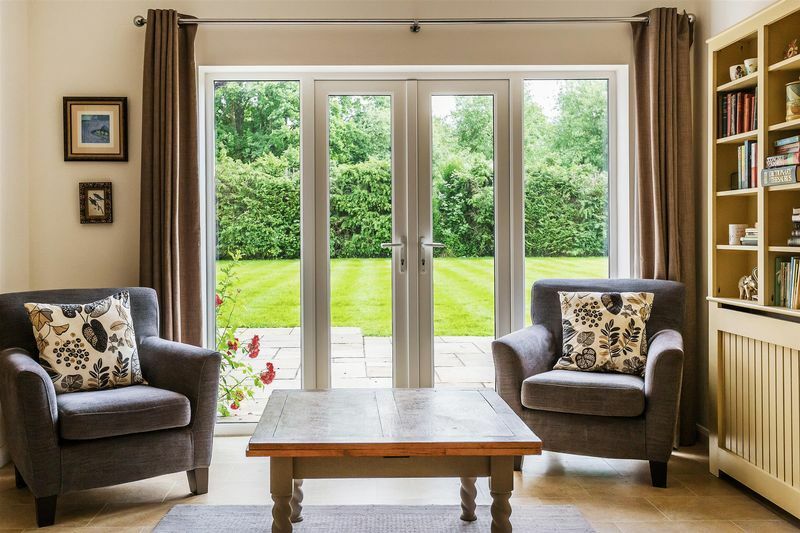 Double doors lead to the garden as well as several sets of double doors leading to the principle reception rooms. 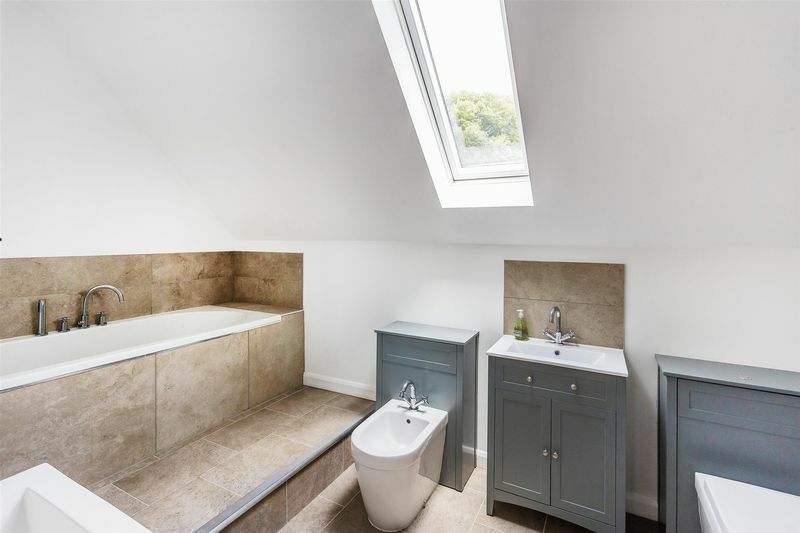 An inner hallway leads to the ground floor bedrooms, both of which are double in size and there is a well-appointed bathroom for use by these two rooms. 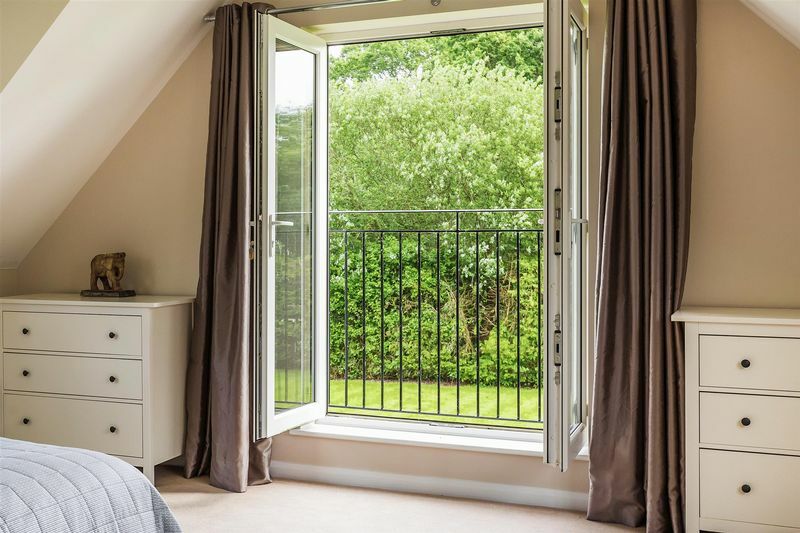 There is the added benefit of an oversized storage cupboard and a separate door leading to the garden. 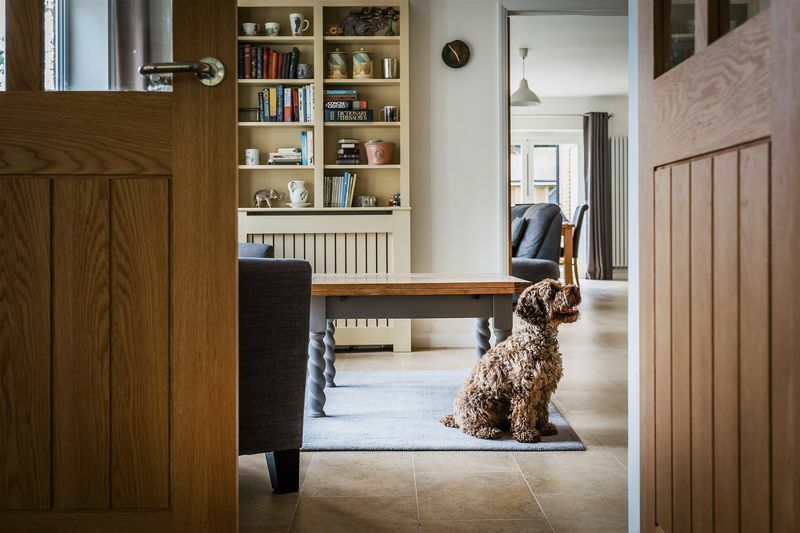 This part of the house definitely lends itself to the possibility of creating a self-contained annex with its own entrance. 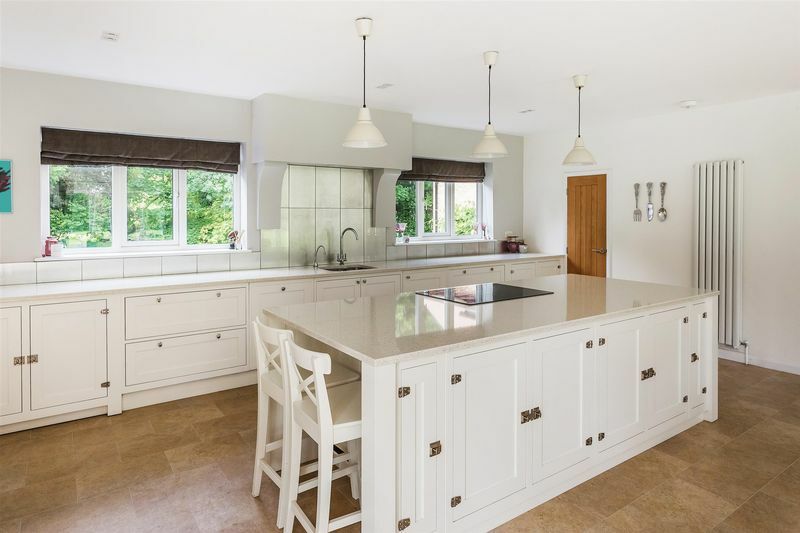 From the entrance hall, there are also double doors leading to the fabulous kitchen/family room. 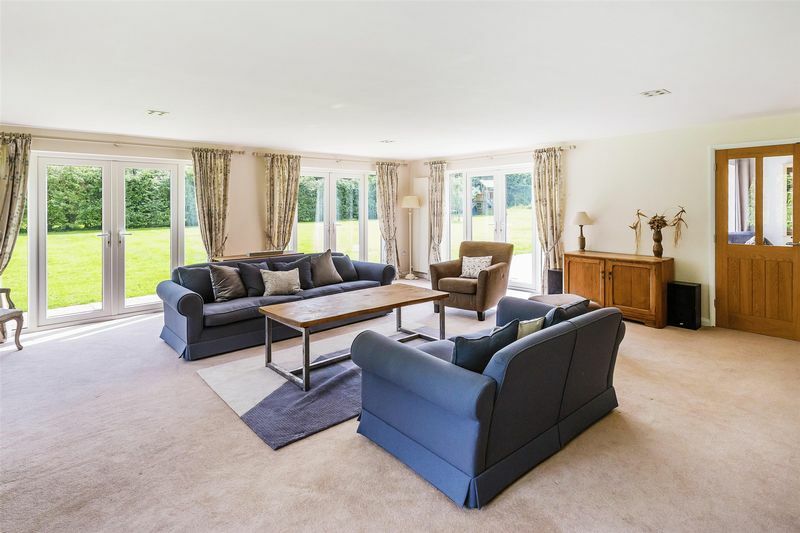 This is very much the hub of the home and offers ample space for any dinner party or function with two sets of double doors as well as separate bi-fold doors leading to the patio and garden beyond. 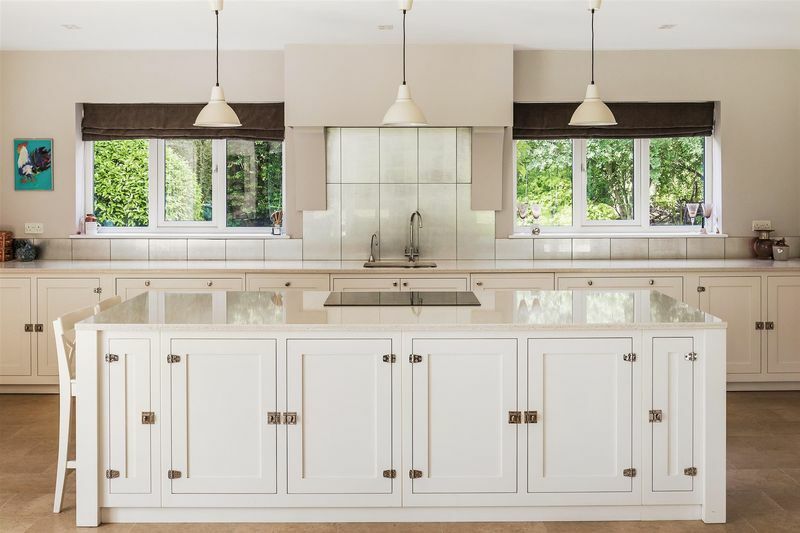 The kitchen has been superbly fitted to a traditional style but with modern living in mind. 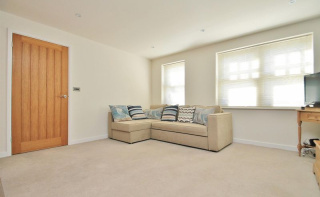 The sitting room is a superb size and benefits from three sets of doors leading to the garden. 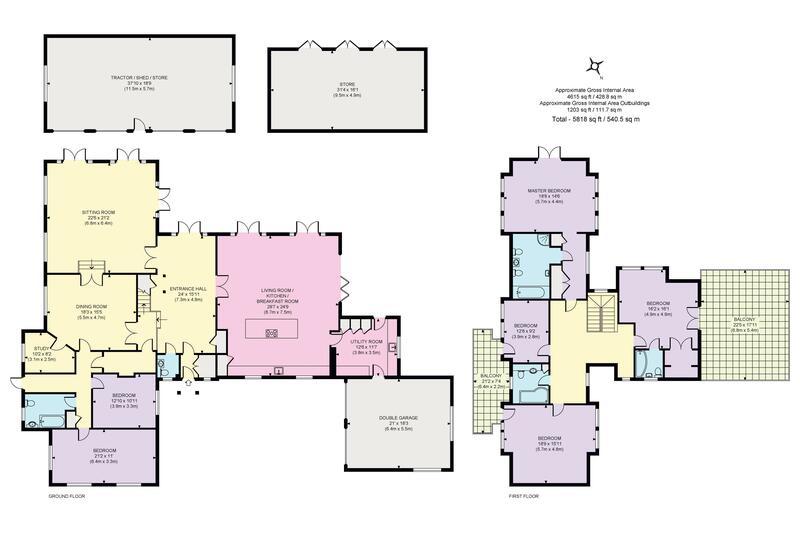 There is a separate dining room which is currently being used as a games room as well as a further study. 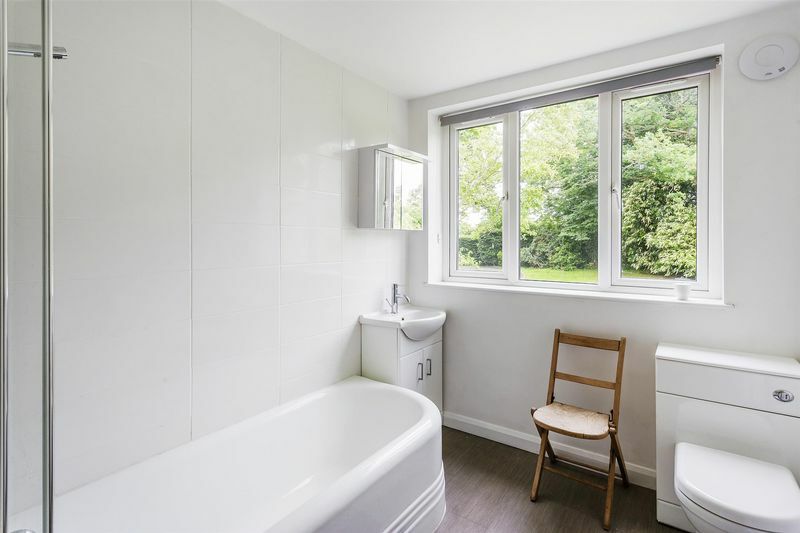 There is a large central island with inset hob and the further benefit of a good-sized utility room with an internal door leading to the attached double garage. 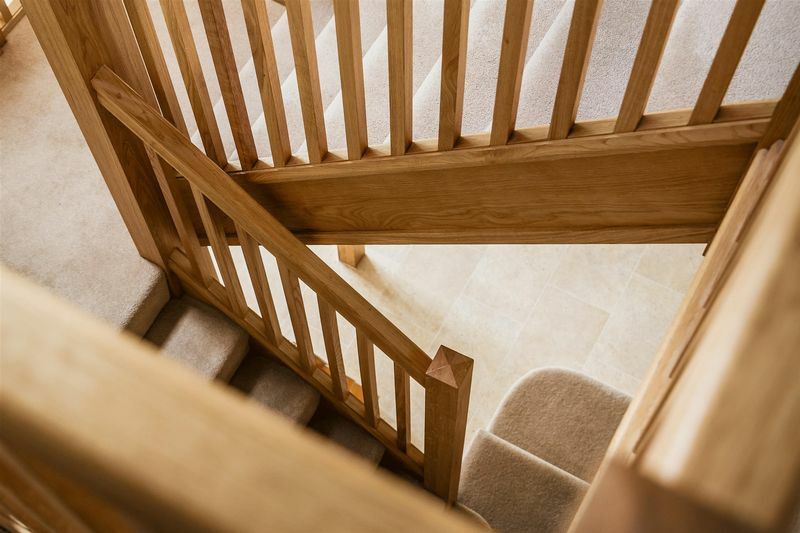 From the entrance hall, a beautiful oak turning staircase leads to the light and spacious landing area. 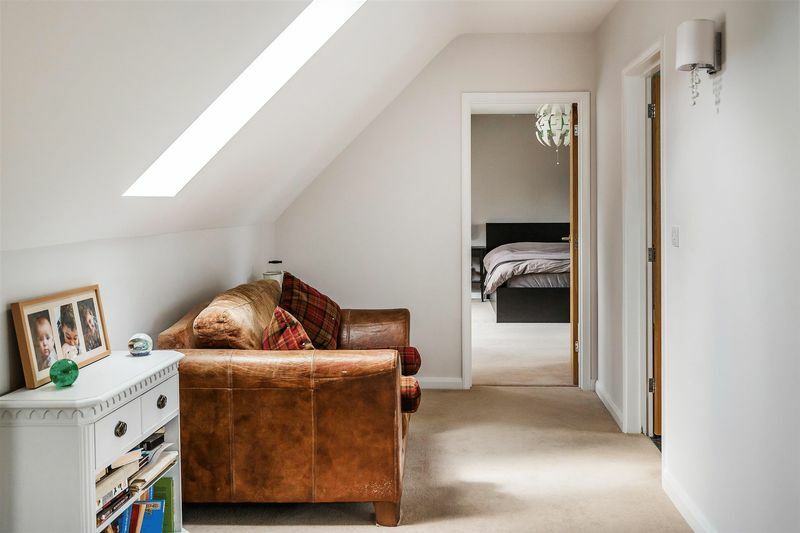 Having been extended and re-imagined by the current owners, the first floor accommodation now flows superbly. 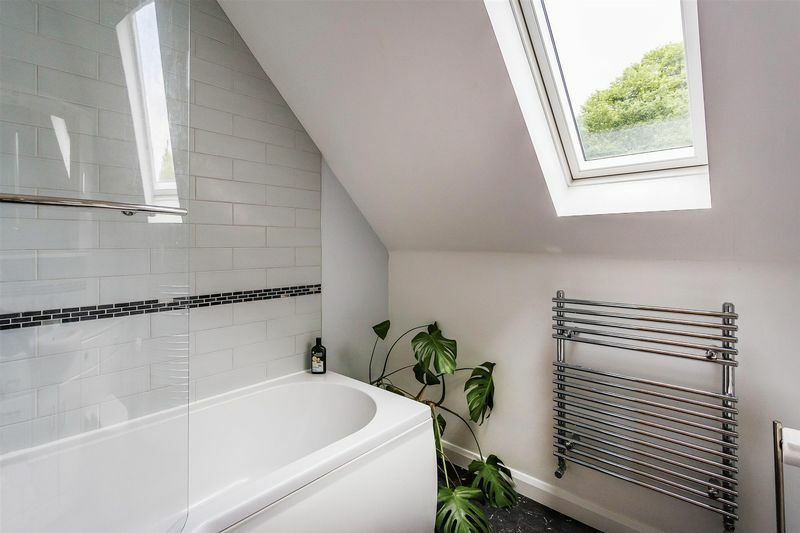 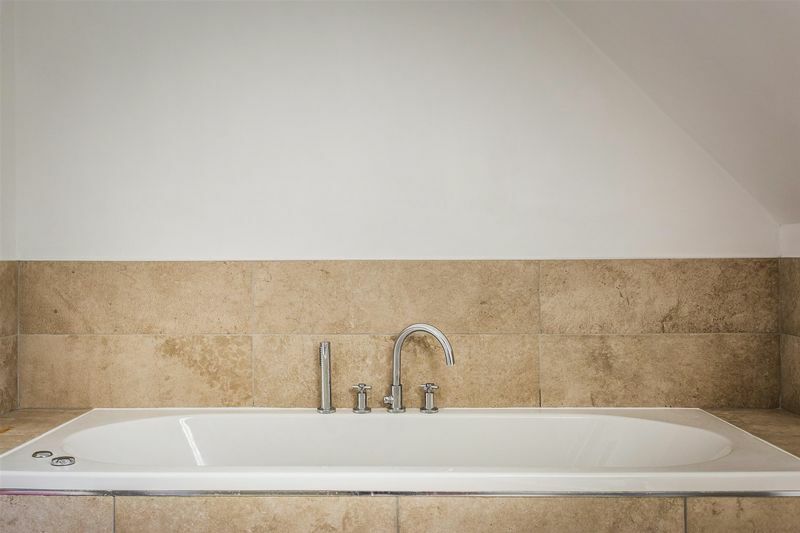 A lovely family bathroom serves bedrooms three and four which also benefit from a joint balcony whilst the guest bedroom enjoys a walk-in wardrobe, en-suite bathroom and a simply superb balcony/terrace offering amazing views of the tree-lined garden. 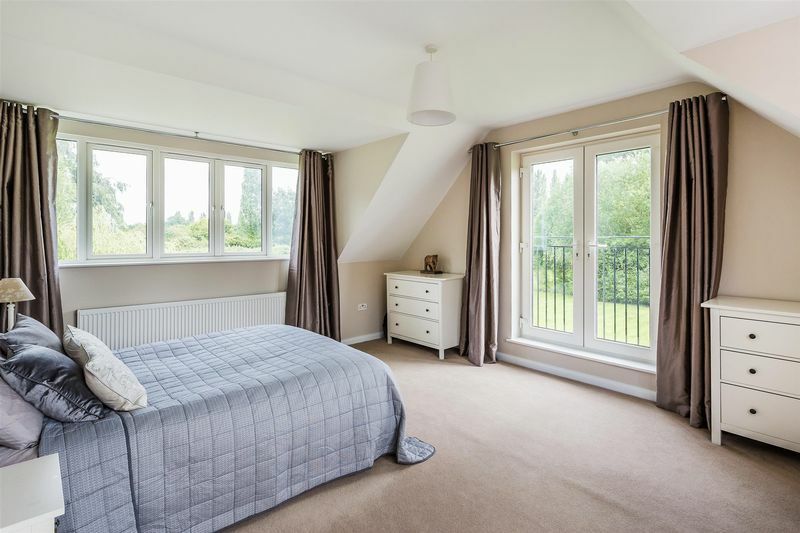 The triple aspect master bedroom is another truly lovely room featuring a Juliette balcony, bank of wardrobes and full en-suite with shower and bath. 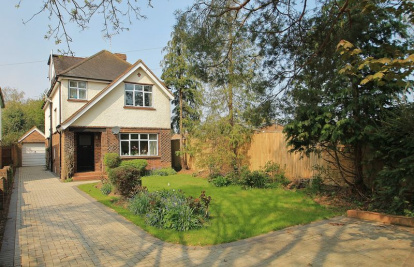 The property is approached via a long private driveway which opens up to a huge amount of parking. 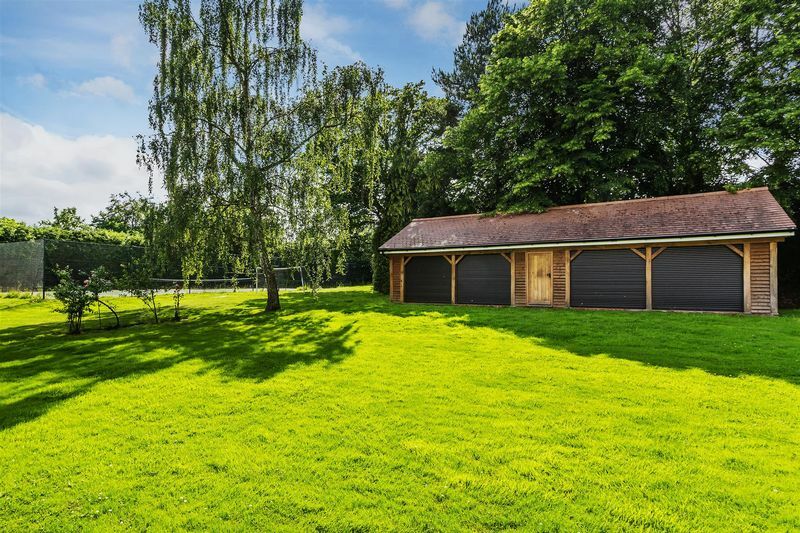 There is an attached double garage as well as two further outbuildings, suitable for use as garaging, stabling or perhaps to convert to a home office/gym etc. 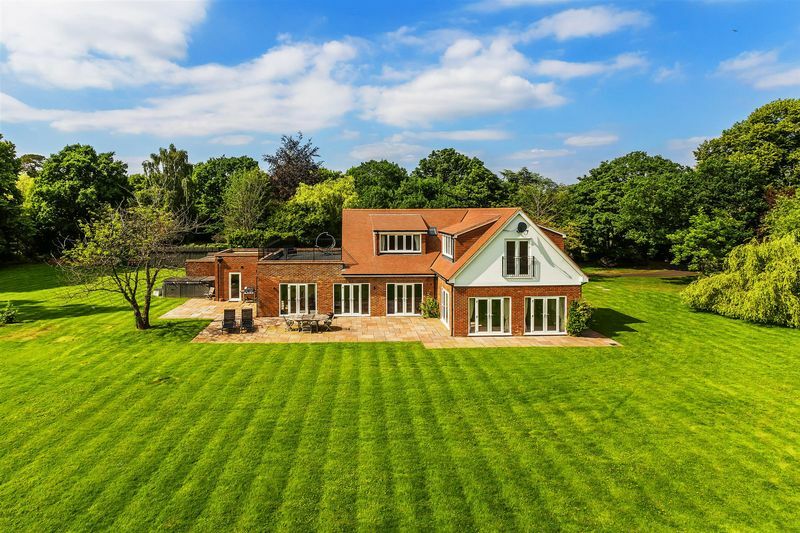 The formal gardens are mostly laid to lawn and are completely enclosed with hedging offering a good deal of privacy and tranquillity. 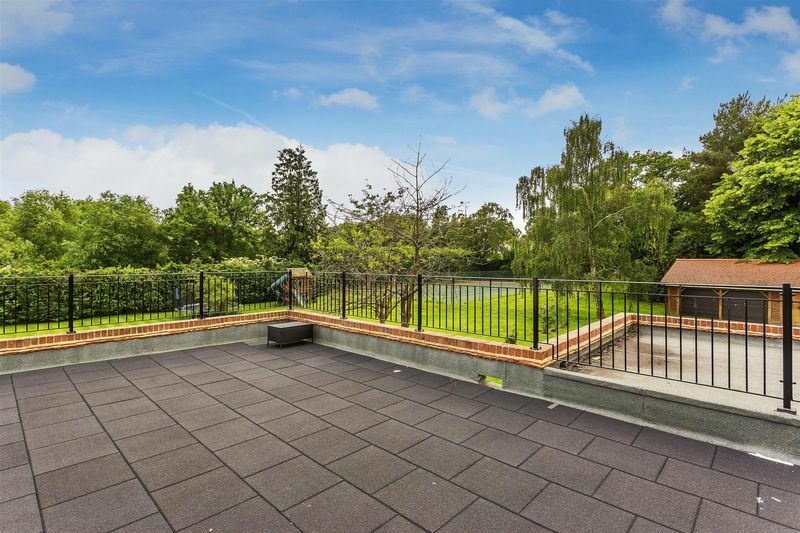 The large patio is a particular feature as it can be accessed from most of the ground floor rooms creating a natural flow around the property which is perfect for entertaining. 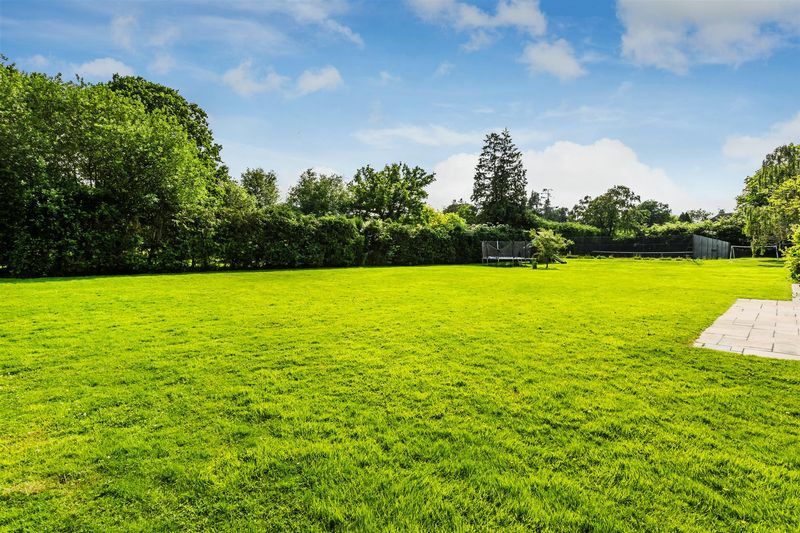 There are various mature trees throughout the garden as well as in the hedge line and so there is a true feeling of being in the country. 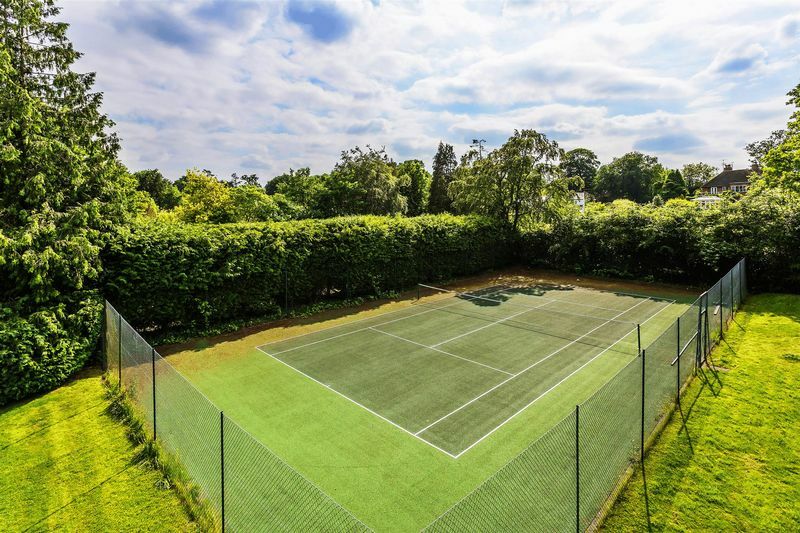 The well kept tennis court is another great feature, again superb for those summer BBQ's and parties. 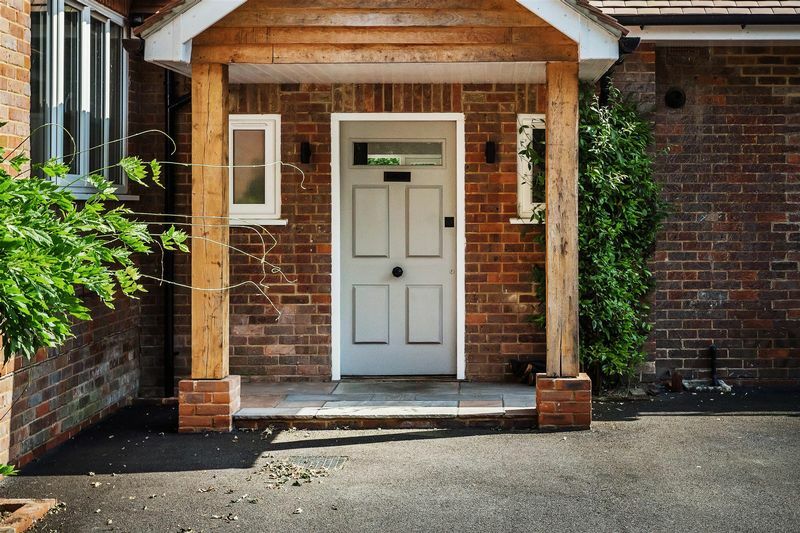 Local rail services are found at Clandon railway station which runs stopping services via Cobham and Stoke D'Abernon as well as via Epsom to London Waterloo in one direction, and to Guildford in the other. 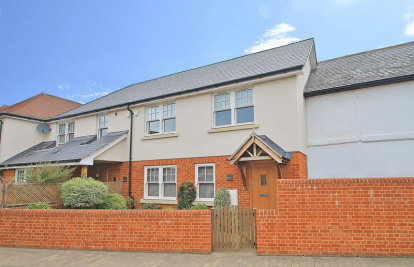 Woking station is about a 5 mile drive away and offers many more destinations and a fast service to London. 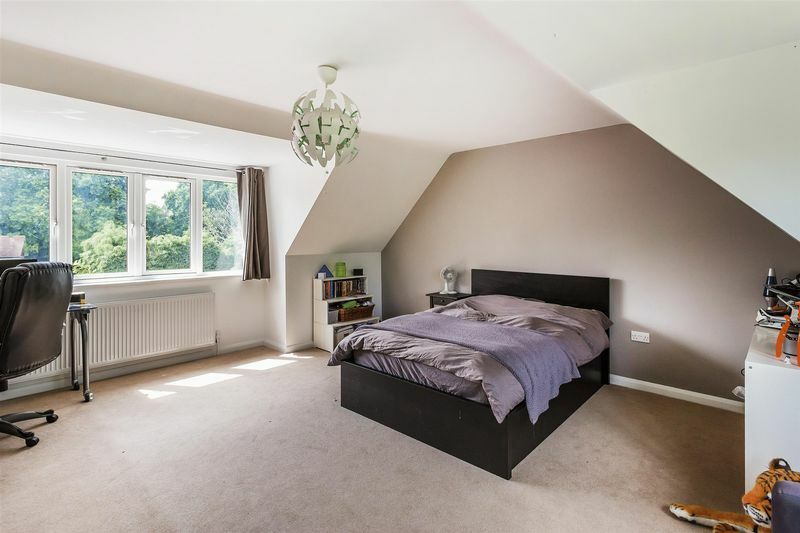 Use this form to contact Ripley about this property.